Portugal is a distinctive travel destination within Europe. As the continental European country that is farthest west, it provides visitors with the chance to see miles upon miles of beautiful Atlantic coastline. Moreover, as a result of its strategic location, Portugal has absorbed many cultural influences over the years, resulting in the presence of a variety of architectural and cultural landmarks. It has also developed a modern culture all it’s own, and visitors can explore that as well. Portugal’s major cities and top resorts are known for elegant sophistication, while the country also features abundant natural beauty. Its many UNESCO World Heritage Sites also make for a big draw, attracting travellers from all around the world. Lisbon is the capital city of Portugal, and is perhaps the best known to foreigners. Standing on the River Tagus, the famous launching point for many of the world’s greatest voyages of discovery, Lisbon has become one of Europe’s most enthralling major cities. The city is widely known and well-regarded for its fascinating blend of old and new, of historic and modern. Aside from the major tourist draw that is Lisbon, Portugal does have a lot to offer. The elegant resort of Estoril features a lovely seafront that makes for a great place to stroll, or enjoy the cafes and bistros. For those travellers looking for a bit more excitement, the resort is known for having the largest casino anywhere in Europe. Overlooking the Atlantic, this top resort town has become a popular holiday base that combines the relaxation and the thrill perfectly, while being a good place to make day trips and excursions from. Alentejo, meanwhile, is a Portuguese province featuring cities well worth visiting – such as UNESCO-listed Evora – as well as olive farms, wineries and numerous architectural and historical marvels reminders of the Renaissance. Portugal can be one of Europe’s best destinations if travellers have a good idea of what they want to see. The country features stunning landscapes as well as urban centres that are well worth visiting. With a high quality of life and a great history and culture, Portugal can make for an excellent holiday. Leading UK specialist tour operator Newmarket Holidays offers escorted holidays to the country. Customers will benefit from the services of a Tour Manager as well as comfortable accommodation and travel, leading to genuine value for money. France is a country that not only provides travellers with a top travel destination featuring many notable sights, but can also surprise and delight with the unexpected but surely welcome. France is the third most populated country in Europe and the largest in the European Union. As a result, it can offer virtually everything a traveller could want. The Parisian lifestyle and atmosphere is world famous – visitors can dine at fine restaurants and bistros or enjoy the well-known French cafes. However, what will delight travellers about France is that it offers all that and more. There is a reason, after all, that many of France’s regions are top draws for visitors from Europe, the UK and across the world. France is one of only three countries in Europe that has coastlines on both the Atlantic and the Mediterranean. This is significant because it means that climates and landscapes in the country range from Alpine to Mediterranean, with rural vineyards and quaint towns as rewarding to travellers as major cities like Paris. Of course, France also has an enthralling cultural and artistic history. In fact, it continues to be a centre for culture and the arts in Europe. One does not even need to go into a museum or gallery to experience this. Remarkable architecture ranging from the historical to the visionary lines the streets throughout France, and the atmosphere of the country is full of life and invention. Travellers sometimes forget that France is indeed quite large for a European country and has so much to offer that one trip is really not enough to take it all in. There is a significant level of diversity among the French regions, and one region can have a completely different character from another – a character that needs enough time to be appreciated. A Parisian holiday is a must do for many people and is certainly justifiable. Especially in the summertime, visiting Paris can be an experience people remember for the rest of their life. Meanwhile, the French Riviera offers a completely different, though still distinctly French, experience. From the famous resort of Cannes to exceptional food and lovely views, the Riviera offers opportunities to rest and relax as well as much to explore. Leading UK specialist tour operator Newmarket Holidays offers a number of escorted holidays to France, to various regions of the country. As one of the last places on the planet to be settled, New Zealand is a place unlike any other. The unique, famous Maori culture permeates the islands that now also feature minorities of Asian and Pacific Islander descent as well as a European majority. This cultural mix makes for a cultural vibrancy that adds to the appeal of the stunning, unspoiled natural beauty of the islands. The country is particularly appealing to travellers because it combines the idyll of the Pacific and its one of a kind beauty with modern and developed infrastructure and cities. The geographical and cultural character of the North and South islands differ, but each region of New Zealand, let alone each island, has many sights to see and experiences to be had. Although it is a modern and highly developed country, New Zealand is far from overpopulated. This is good news for travellers as it means that the country is not overdeveloped and has not had its natural beauty spoiled. Still, it retains urban appeal as well as rural; man-made fascinations as well as natural ones. As part of its long isolation, New Zealand developed vegetation and wildlife distinct from that found in the rest of the world. The topography of the country is also distinct, notable for rugged natural beauty as well as a wide diversity of terrain. It should come as no surprise that New Zealand was so isolated from the rest of the world and for so long – it is, after all, around 1,000 kilometres south of the Pacific islands of New Caledonia, Fiji and Tonga. Because New Zealand was first settled by the Maori and only a few centuries later by Europeans, travellers will find that they will encounter interesting and unique culture on the islands. They will also feel at home as Westerners while being able to witness and experience the unique culture of the Maoris, and also of the Asian and Pacific Islander minorities, and what they have contributed to the modern country that is New Zealand. Leading UK travel specialist Newmarket Holidays offers escorted holidays to New Zealand that enables travellers to experience the best New Zealand has to offer culturally and in terms of nature. Customers will experience safe and comfortable travel, quality accommodations and enjoy the country itself, where bustling resorts and major cities are never far from beautiful natural landscapes. Newmarket Holidays has become one of the United Kingdom’s top specialist tour operators, and the largest independently owned company of its kind in the country. As part of the Newmarket Group, Newmarket Holidays has been providing escorted travel arrangements that offer customers real value for money since 1983. This means that Newmarket Holidays can claim to have over three decades of experience in arranging satisfying, memorable and comfortable holidays to some of the top travel destinations in the world. Newmarket Holidays provides customers with escorted holidays to destinations in the UK, in Europe and farther away. Newmarket Holidays has recently unveiled a collection of holidays called the Faraway Collection. These holidays are notable for taking customers to once in a lifetime destinations like Japan, India, New Zealand and China (among others). Newmarket Holidays has plenty of experience as a specialist tour operator and knows full well the real, personal value such a journey can have. The chance to explore such fascinating, beautiful and complex destinations should not be spoiled by inexperienced, poor planning, and that is why it is important to select an experienced tour operator such as Newmarket Holidays. The company knows that travellers want to see world famous places like the Taj Mahal in Agra, India, the Terracotta Army in China or the giant statue of Christ the Redeemer in Rio de Janeiro, Brazil. It also understands the value of bringing such places to life with the help of a professional and friendly Tour Manager, so travellers get the most out of their holiday. All of Newmarket Holidays’ escorted holidays, regardless of whether they are short coach trips within the UK, slightly longer coach holidays to countries like Belgium or longer journeys by plane, provide comfortable travel arrangements. Moreover, the company has excelled in partnering with well-established and well-regarded hotels in order to offer comfortable and relaxing accommodation. On top of that, Newmarket Holidays uses its experience to select the top highlights of a destination and create itineraries that allow customers to see the best a destination has to offer. The faraway holidays collection provided by Newmarket Holidays includes non-stop direct flights when that is possible, and return flights at the very minimum. Newmarket Holidays works with widely known and reputable airlines to ensure the safety and comfort of customers. The Economy Class tickets come with meals and comfortable seats, ensuring that travellers reach their dream destination safely and comfortably. Founded in 1983, Newmarket Holidays is now one of the largest independent tour operators in the United Kingdom. The company itself specialises in escorted tours on which customers benefit from a dedicated Tour Manager who travels with them for the duration of their holiday. The itineraries are already in place and have been designed with the enjoyment of the customer in mind, however there are options during the tour to opt in or out of certain additional excursions and enjoy the first-class accommodation that comes as standard with all Newmarket Holidays’ escorted tours. Much of the success enjoyed by Newmarket Holidays is down to its exceptional customer service and value for money holidays and breaks. The staff at Newmarket Holidays are trained extensively in relation to all aspects of customer service, and this plays a major role in the high levels of customer satisfaction. Newmarket Holidays also strives to offer something of interest to each and every potential customer. Its range of escorted tours is wide and varied, and have been designed so that each customer will have an enjoyable experience. Accommodation and travel options have been carefully selected to ensure maximum comfort and minimal stress from the start of the tour until the end. Newmarket Holidays offers customers the option of being part of an escorted tour to some of the more faraway destinations in the world – such as India, Brazil, Argentina and South East Asia, and these escorted tours are proving to be extremely popular with customers of Newmarket Holidays. The vast array of places and sights to see in such countries means that the services of a dedicated Tour Manager with all the local knowledge and experience is a huge advantage in relation to taking everything in and maximising the whole experience. Some of the most popular long haul tours on offer from Newmarket Holidays include Hong Kong, China, Japan, Thailand, India and Brazil. Within these fantastic countries are majestic and historical sites such as the Taj Mahal, Great Wall of China, The Grand Palace and The Christ Redeemer statue. With the dedicated services of a Newmarket Holidays Tour Manager, visits to iconic locations such as those listed above will be appreciated in full. Newmarket Holidays is an independent tour operator from the UK that provides customers with escorted tours to destinations throughout the world. Newmarket Holidays was formed in 1983 with the intention of offering holidaymakers first-class holidays at affordable prices. The experienced and knowledgeable staff at Newmarket Holidays are selected because of their dedication and commitment to customer service, and this is reflected in the way that each and every one of their escorted tours is operated. Newmarket Holidays has planned their selection of escorted tours meticulously both in terms of providing superb accommodation and implementing exciting itineraries that appeal to all of its customers. Newmarket Holidays built its reputation through its escorted coach tours, but as the company’s reputation has grown so has its range of breaks and holidays. Newmarket Holidays recognises that the needs and requirements of each and every one of their customers is different, and its broad range of destinations and experiences reflects that understanding. One of the more recent selections of escorted tours involves cruises. Cruising is growing in popularity year upon year due to the excitement and luxury that is offer on board cruise ships. Cruising is an ideal way to experience numerous locations in one single tour with the added benefit of travelling between destinations in luxury. The facilities on board cruise ships are exceptional, and this means that customers can enjoy not only each of the various destinations within the itinerary but also the travelling between each destination. Newmarket Holidays offers a wide range of cruises to cater for the needs of all of its customers. Some of the most popular cruises offered by Newmarket Holidays include cruises around Europe taking in major cities en route. In addition to this, Newmarket Holidays also offers cruises that take in destinations further afield. With cruises such as these, air travel is arranged and customers are then transferred to the cruises at point of departure where they are able to join the cruise before returning by air. The Astor Tilbury to Cape Town Cruise is a prime example of this format, and is just one example of the popular cruises on offer at Newmarket Holidays. The American West is, simply put, the stuff of legend. California’s cities, from lovely San Diego to the glitz of Los Angeles to gorgeous San Francisco, offer travellers a variety of pleasures, all with the Pacific as an unbeatable backdrop. Travelling inland and across the desert will lead travellers to the unique city of Las Vegas, with its glamorous atmosphere and themed casino hotels, many with remarkable architecture and spectacular attractions. Further on, travellers can witness what is truly one of the world’s most startlingly beautiful and stunning natural landmarks, the Grand Canyon. They can even take helicopter rides over the Grand Canyon. The American West differs in character from the rest of the country. It is quite unlike the more historic areas in the Northeast and the Southern states. The West is a place to dream big and think big, but is also a beautifully rugged place where one can encounter the American dream brought to life in so many different ways. The Pacific is a constant backdrop for the West Coast, while the desert landscapes of Nevada and Arizona show the American character, both geographic and cultural, in a different light. San Francisco is a must for any traveller to the American West, with such well-known landmarks as Chinatown, Fisherman’s Wharf and even the infamous Alcatraz. San Francisco is a remarkably easy city to get around, with various public transit options including the famous cable cars that traverse the city’s hilly streets. A guided tour is a good way to see the best of San Francisco. Many guided tours will even give people the chance to enjoy being taken for a drive over the world-famous Golden Gate Bridge. Journeying down the West Coast is incredibly rewarding to travellers as they will not only see the natural beauty of the coastline but also places like Carmel-by-the-Sea and Monterey County, the latter of which is of particular interests to fans of John Steinbeck. In Los Angeles, Hollywood remains a major draw for travellers and movie lovers. The West Coast offers many opportunities to see major attractions, but the desert of Nevada and Arizona remains magnetic and fascinating both to Americans and travellers from abroad. While different, it is no less enthralling than the West Coast. Newmarket Holidays offers escorted holidays that cover many of the top destinations in the American West. The largest city in Canada is Toronto, on the vast Lake Ontario, but it is no less warm and welcoming for being such a large city. Toronto is filled with unique Canadian history while also being a thoroughly modern, cosmopolitan city. Its downtown area features such attractions as a massive labyrinth of shopping malls all connected to one another, as well as the well-known CN Tower, one of the world’s tallest buildings. Toronto is a great place for travellers to start a journey in Canada. Aside from the pleasures of the city itself, the world-famous natural wonders of the Niagara Falls are not too far away, just a short drive along Lake Ontario. There, travellers can begin on the famous and historic Maple Leaf Trail, going north to Ottawa before going east to Montreal. Ottawa is the capital city of Canada and offers visitors the chance to see important and historic Canadian buildings, and to enjoy the city itself –an increasingly vibrant community. From Ottawa, follow the trail to the gloriously beautiful and stylish city of Montreal, once home to the Olympics and truly one of the most vibrant cities in Canada. Montreal is renowned for combining a North American feel and attitude with European influences. It is a young, fascinating city with style and substance as well as a beautiful setting. Finally, travellers along the Maple Leaf Trail will reach Quebec City, one of the most historic cities in Canada and one which still proudly displays that history. Quebec City enthrals travellers with its cobblestone streets, ancient ramparts and a distinctly Old World French feel, all in the New World. Canada is the second largest country in the world. Many travellers choose to see many sides of the country by attempting an east-to-west trip that covers both the historic east and the wild west. However, another way to approach such a large country is to try to experience one area of the country. Even following the Maple Leaf Trail however will cover drastically different and exciting places, from cosmopolitan, big-city Toronto to quaint, Old World Quebec City. This fact reflects Canada’s general cultural diversity, its massive geographical size and the remarkable history of the Maple Leaf Trail. An escorted holiday such as those offered by Newmarket Holidays is an excellent way to experience the vast and culturally fascinating country of Canada. When comparing Canada’s sheer geographical size and the vast distances between its cities to its overall population, a picture emerges of a country that is largely unspoiled. Canada is also far from identical to the United States. The original influences in Eastern and Central Canada are originally French, while the original influences in Western Canada come from a variety of ethnic groups who worked to expand the country westward. However, although English and French heritage is common, Canada has been home to many diverse cultures for a long time, preferring the model of the cultural mosaic to the American ideal of the melting pot. What all this means is that Canada is a welcoming and friendly country with a diverse cultural mosaic open for exploration. Outside cities and towns, remarkably vast natural landscapes unfold, attracting travellers from all around the world. Eastern and Central Canada are the more historical and highly populated areas of Canada. While both these provinces and the Maritime provinces have their own share of natural attractions, travellers often enjoy venturing to the West to see the stunning Rocky Mountains. A great base for an initial exploration of the Rockies is in Alberta at the popular mountain town of Banff, which has many shopping and dining options as well as unbeatable, unspoiled natural surroundings. From there, travellers usually visit the famous waters of Lake Louise before heading north to Jasper, a picturesque town in a national park by the same name. Still in the Rocky Mountains, but further north, Jasper offers travellers pleasures distinct from those of Banff and, with nearby glaciers, a hint of what lies further north. A popular travel option after driving west through the Rocky Mountains to Vancouver is to set out on a remarkable cruise to Alaska, one of the United States but separated from the rest of its mainland territory by Canada’s vast landscapes. The cruise is its own reward, with astonishing sights such as Glacier Bay awaiting travellers. 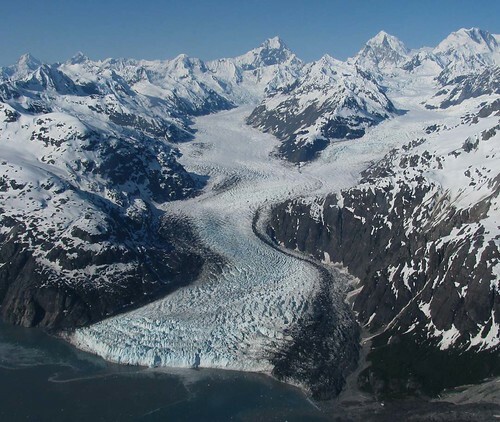 Juneau, Alaska is an example of the type of port of call travellers will encounter. Sightseeing tours or expeditions into Alaskan backcountry are popular activities for travellers. The Canadian North as well as Alaska are truly among the most sparsely populated regions anywhere on the planet and offer travellers the chance to truly connect with nature. The escorted holidays offered by Newmarket Holidays make for a great way to explore the Canadian Rockies and cruise to Alaska.